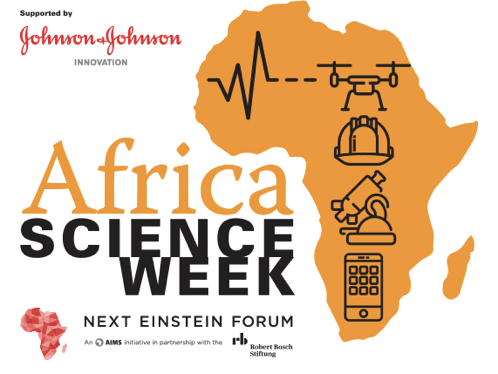 The Next Einstein Forum (NEF), an initiative of the African Institute for Mathematical Sciences (AIMS) in partnership with Robert Bosch Stiftung, has announced the beginning of NEF Africa Science Week in 35 African countries throughout the months of September, October and December 2018. NEF Africa Science Week are led by NEF Ambassadors, local science and technology champions, together with support of local academic, public and private sector stakeholders and sponsors, who organize three to seven days of events in their countries to promote Science, Technology, Engineering and Mathematics (STEM). NEF Africa Science Week will start this week in Zambia and then follow in Sudan, Benin, Angola, Uganda, Ghana, Guinea Bissau, Malawi, Swaziland, The Gambia, Zimbabwe, South Africa, Lesotho, Tanzania, Burundi, Sierra Leone, Burkina Faso, Somalia, Rwanda, Ivory Coast, Cape Verde, Republic of Congo, Mali, Togo, Nigeria, Ethiopia, Morocco, Namibia, Kenya, Guinea, Cameroon, Niger, Tunisia, Senegal and Mauritania. Each country will have specific activities, designed to enable citizens to engage with everyday science and scientists over three to five days. Launched in 2013, the Next Einstein Forum (NEF) is an initiative of the African Institute for Mathematical Sciences (AIMS) in partnership with Robert Bosch Stiftung. The NEF is a platform that connects science, society and policy in Africa and the rest of the world – with the goal to leverage science for human development globally. The NEF believes that Africa’s contributions to the global scientific community are critical for global progress. At the centre of NEF efforts are Africa’s young people, the driving force for Africa’s scientific renaissance. The NEF is a unique youth-driven forum. Our headline biennial scientific events, NEF Global Gatherings’ participants are 42 or younger. Far from an ordinary science forum, the NEF Global Gatherings position science at the centre of global development efforts. The next NEF Global Gathering will be held in March 2020 in Nairobi, Kenya. In addition, through the NEF Community of Scientists, we showcase the contributions of Africa’s brilliant youth to Africa’s scientific emergence through its class of NEF Fellows who are Africa’s top scientists and technologists, all under the age of 42 and NEF Ambassadors who are the NEF’s 54 science and technology Ambassadors on the ground. Finally, the NEF is telling untold stories of scientific research and innovation across the continent through our various platforms. We want to recalibrate what ‘innovation’ means in Africa. 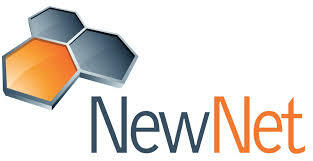 We want to make the link between science and technology, even basic sciences, to everyday life. We believe the next Einstein will be African.